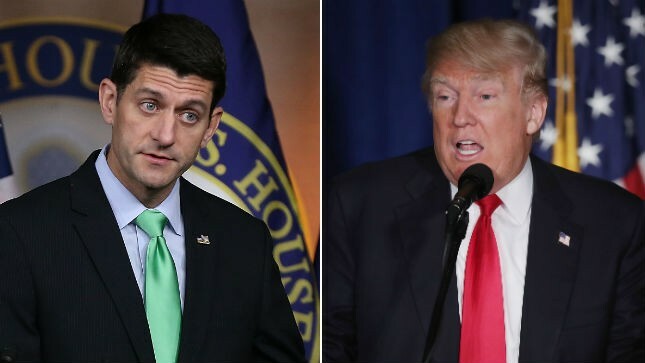 GREEN BAY, Wis. — Moving to heal a deepening rift within the Republican Party, Donald Trump belatedly endorsed the primary campaign of Speaker Paul D. Ryan here Friday, giving his backing to the re-election effort of the nation’s most powerful elected Republican. He also endorsed Sens. John McCain of Arizona and Kelly Ayotte of New Hampshire. Trump ignited a controversy Tuesday when he said he was not “quite there yet” in supporting Ryan, echoing a similar line of doubt that Ryan had cast before eventually endorsing Trump for president. 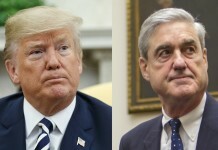 The remarks threatened to further splinter Trump’s relationship with the party and infuriated many officials, including Reince Priebus, the chairman of the Republican National Committee. Trump’s running mate, Gov. Mike Pence of Indiana, publicly, but peacefully, disagreed with him and backed Ryan. In Green Bay, Trump sought to move past a tumultuous week plagued with controversy that began with his disparaging of a Gold Star military family, continued with his remarks regarding Ryan and included repeated proclamations about viewing a “secret tape” that showed Iran receiving pallets of cash from the United States. Perhaps signaling that he was in a forgiving and unifying mood, Trump on Friday morning issued a rare admission of an error, explaining on Twitter that the footage he had thought was a secret tape was instead a widely shown clip of American prisoners arriving in Geneva after being released by Iran. The endorsement of Ryan is unlikely to assuage some Republicans who are concerned by the combative and provocative Trump campaign and have grown frustrated that the nearly daily controversies have made it more difficult to focus on the perceived weaknesses of the Democratic nominee, Hillary Clinton. On Friday, Gov. John Kasich of Ohio indicated in an interview with CNN that he was considering voting Democratic for the first time. Trump made his endorsement after striking notes of unity Friday afternoon at a rally in Des Moines, Iowa. He praised Priebus, saying he was doing a “fantastic job,” and complimented Pence, who was on the campaign trail with him for the first time since they had taken divergent positions on Ryan’s primary campaign. Trump also focused his message in Des Moines on Clinton, peppering his remarks with extended riffs and insult lines against her and President Barack Obama. “She is pretty close to unhinged,” Trump said, criticizing Clinton’s immigration and foreign policy positions, in particular her relationship with Iran. He also floated a conspiracy theory that the National Security Agency had the 33,000 deleted emails from Clinton’s account (there is no record, report or indication that this is true). The Clinton campaign has been quick to seize on Trump’s recent controversies. At a rally Friday afternoon outside a brewery in Milwaukee, two hours from where Trump would hold his Green Bay event, the Democratic vice presidential nominee, Sen. Tim Kaine of Virginia, took aim at Trump for withholding endorsements of Ryan and McCain.